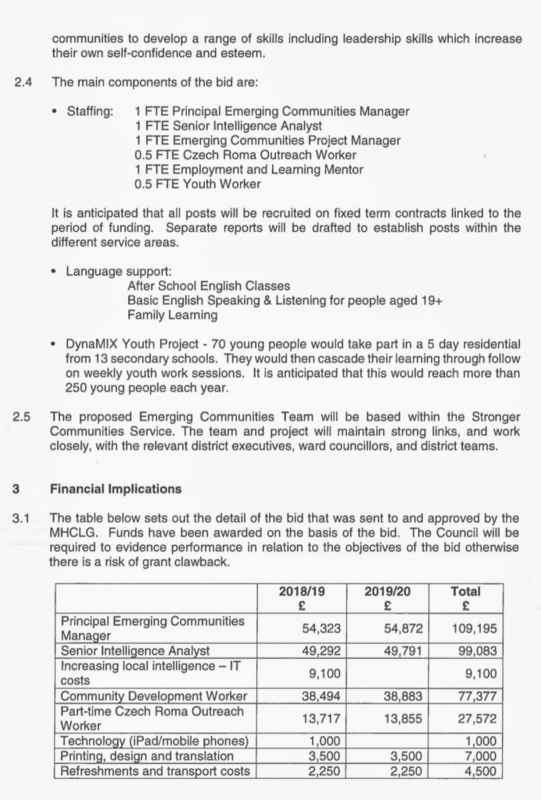 Oldham Council has been given £602,000 from the government’s oddly named “Controlling Migration Fund” to deal with pressures from high volumes of migrants and in true Labour Oldham style they are spending 60% of the money creating four high salaried positions including a business intelligence analyst. 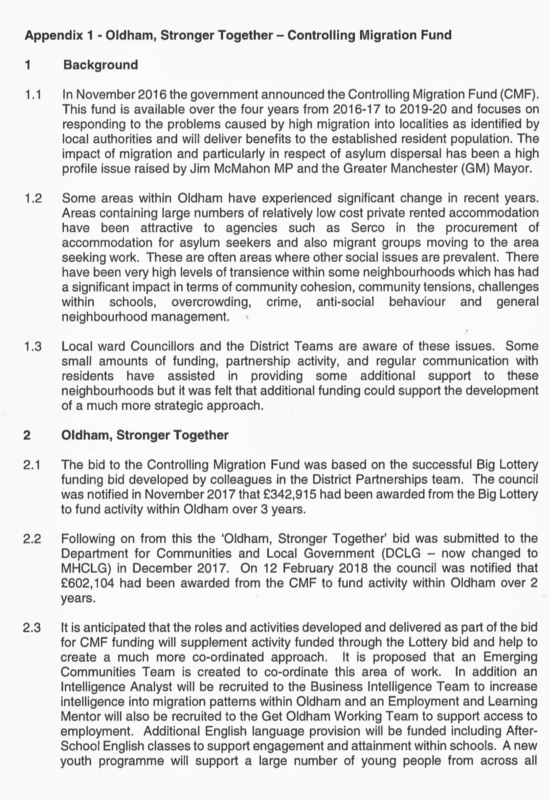 We notice that Oldham Council’s papers state that MP Jim McMahon has already raised the high profile issue of the number of asylum seekers in Oldham. The truth is that when Jim McMahon was Council leader he had the power to take Oldham out of the asylum seeker dispersal scheme altogether until a fairer distribution method was created he chose not to do so. Statements in the Council documents such as “challenges within schools” really do not bare any reality to the actual situation which is a 777% increase in foreign born children in Oldham schools in just four years with the highest number being of Roma heritage. Eurostat chart shows the UK is the top destination country for EU citizens exorcising freedom of movement rights. 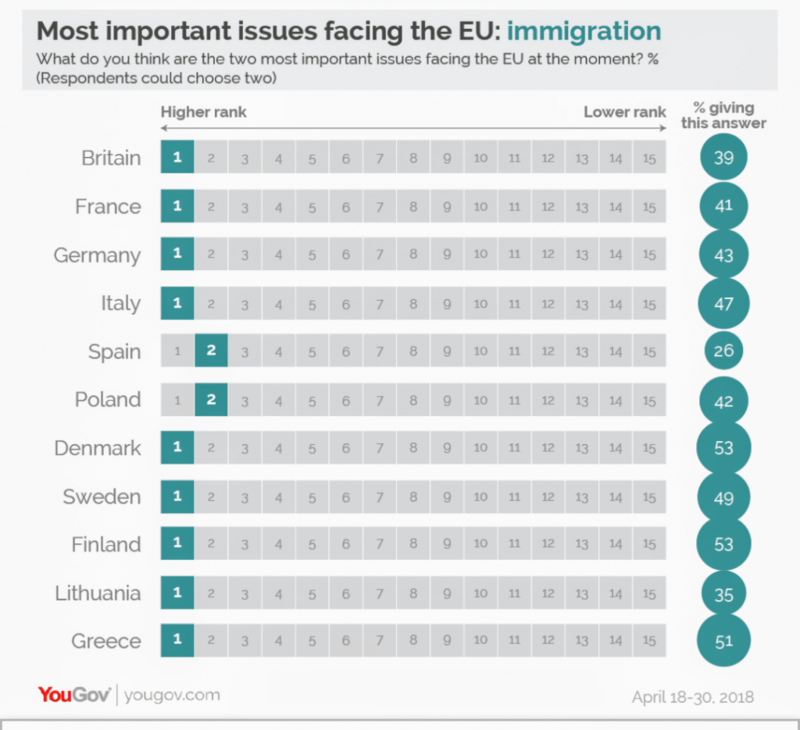 Note that country’s such as France which receive 6 times fewer EU migrants than the UK don’t even make the list. Central Oldham is now all but unrecognisable and the Labour party have no intention of trying to reduce the ludicrous numbers of unskilled high fertility migrants with little or no English language skills nor a checkable background. In Oldham we have no honesty or debate on the thousands of migrants arriving in the borough from the most sexist, homophobic, misogynistic cultures in the world none of whom welcome migrants or celebrate diversity in their own country’s. In Oldham you are either a socialist who thrives on tales of woe and deprivation that your own political system has created and expanded or you are labelled a racist, elitist, capitalist or all manner of other terms to stifle any useful discourse.